Responsive Shopify Theme “London” is a refined, minimalist template, with subtle styling that puts your products front and center. 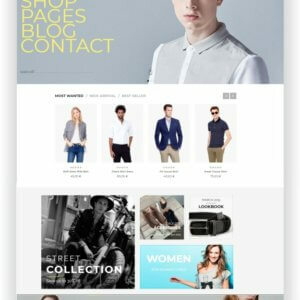 Shopify Accessoires Shop Theme Paris is a sophisticated ecommerce template with contemporary styling, perfect for a fashion or beauty shop. 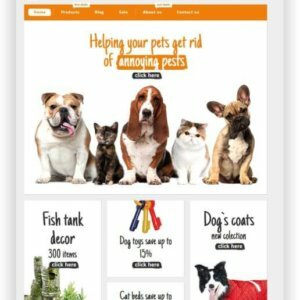 This Shopify Animal Pets Store was designed for animals and pets supplies. All layout elements are placed over the white background where they are clearly visible. Orange objects draw visitors’ attention and stimulate their activity. 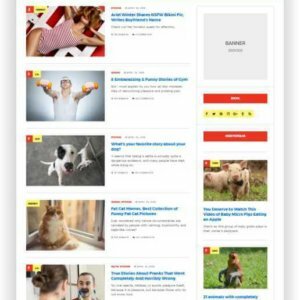 Cute animals photos will definitely help you boost the conversion rate. 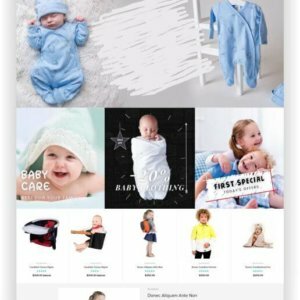 This Shopify Babyshop Theme is just one of the many themes of this Shopify Multipurpose Theme. The Theme Pack contains over 65 different creative designs that can be used immediately. Add 29 normal topics and 36 subdivided topics. 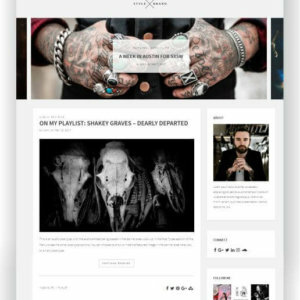 Shopify Everything is a premium multi-shop Shopify theme developed and developed by Elite Author of ThemeForest. Theme is responsive, mobile compliance. W3C, HTML5, CSS3 valid and compatible. 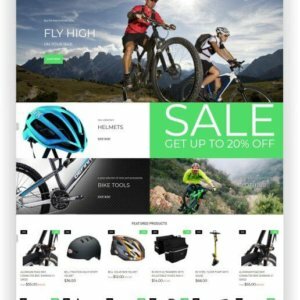 This Shopify Bike Shop Theme is a robust solution for an online shop that sells bikes, bike equipment, sport clothing and accessories, and other products related to extreme sports. The theme has a responsive design, which lets your customers buy products from their mobile phones or tablets easily. 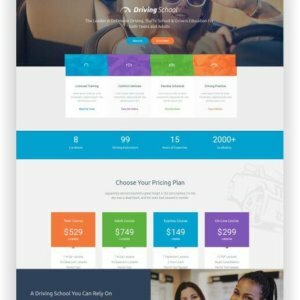 Do you want to create a unique and authentic homepage? With Cardone you can do it in a few clicks with the new functionality that allows changing blocks on your own taste. 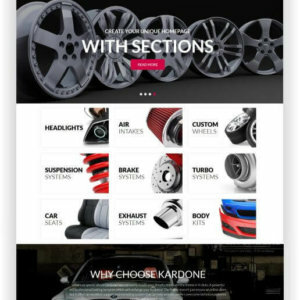 Shopify Car Parts Shop Theme KarDone is a ready-made solution for car parts and accessories stores. 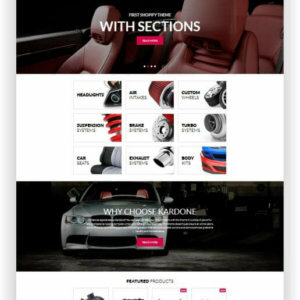 This Auto Parts Shopify Theme offers unlimited opportunities for promoting your goods and providing an impeccable user experience. An array of customized pages with sections are ready to go live out of the box, they will save you time and money on coding and design. 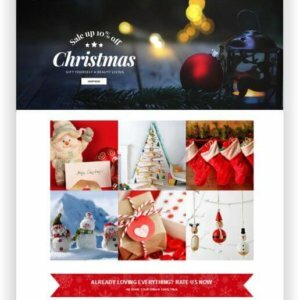 This Shopify Christmas Theme is just one of the many themes of this Shopify Multipurpose Theme. The Theme Pack contains over 65 different creative designs that can be used immediately. Add 29 normal topics and 36 subdivided topics. 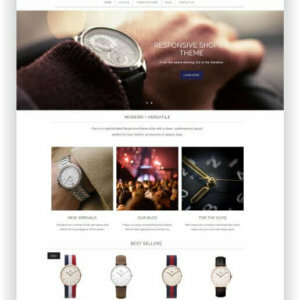 Shopify Everything is a premium multi-shop Shopify theme developed and developed by Elite Author of ThemeForest. Theme is responsive, mobile compliance. W3C, HTML5, CSS3 valid and compatible. Looking to sell kitchenware online without paying extra for an expensive store design? 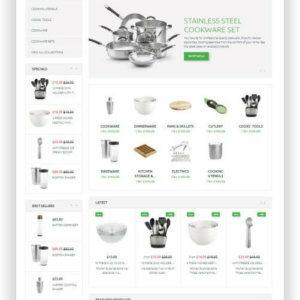 Then this responsive Shopify Cookware Theme was designed just for you. It boasts a pixel-perfect design based on fresh colors, modern animations and soft shadows, and also features 4 bicolor style variations, which allow you to use it in conjunction with virtually any brand design. 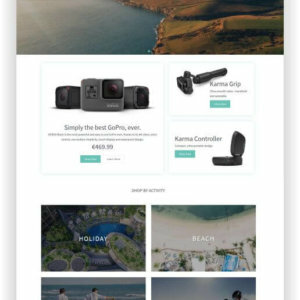 If you were looking for the perfect Shopify Drone Shop Template – you find it! It includes a lot of marketing, design and administration tools. Modern design solution helps you to offer your client product in the easiest way! 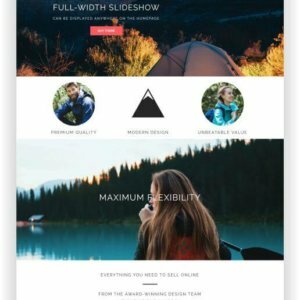 Shopify theme with sections allows you to customize your homepage on your own taste – add, reorder, and remove chunks of content such as products, slideshows, videos, or collections and etc. Gifting isn’t just a banal exchange of objects. In fact, it’s a great way to deliver a message of friendship, love, and appreciation. For that reason, people are extremely cautious when choosing presents, that’s why sellers have to put maximum efforts in order to turn them into their customers. 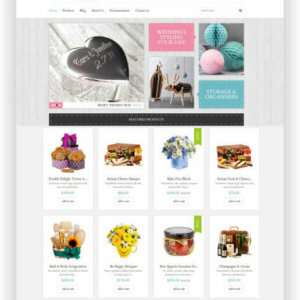 Pursuing this goal, we have created this Elegant Gift Store Theme for Shopify! Would you like to create a unique homepage for eye glasses? 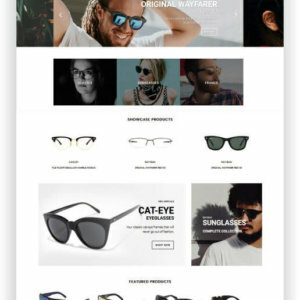 With this Shopify Eye Glasses Theme you can make it in a few clicks with the new functionality, which allows to change blocks to your taste. Shopify Fashion Shop Milan is a trendsetting, cosmopolitan theme with distinguished styling. The Milan preset for the Mobilia theme is an ideal showcase for boutiques carrying top shelf products in apparel, cosmetics, jewelry, and wearable tech. 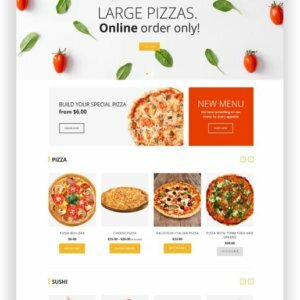 This fully responsive Food Delivery Website Shopify Theme was designed after the deep research of many food delivery websites. It’s intended mainly for pizza delivery business. As small food delivery companies can’t afford expensive ads on TV, having a nice and attractive website is very important. This template is easy to deploy, cost-effective and user-friendly. 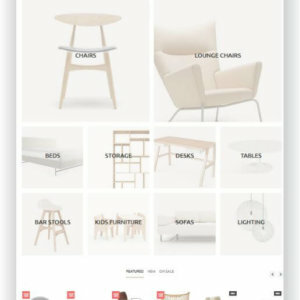 The Shopify Furniture Shop Template is best suited for web shops both indoors and outdoors. A spacious and easy-to-navigate layout brings the products of the store into the limelight. A Promobanner placed above the functional MegaMenu attracts the attention of the users to your special offers. 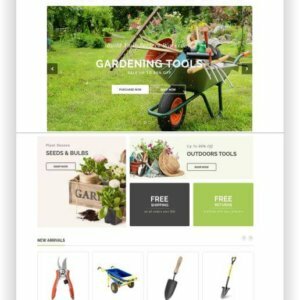 This Shopify Garden Theme is just one of the many themes of this Shopify Multipurpose Theme. 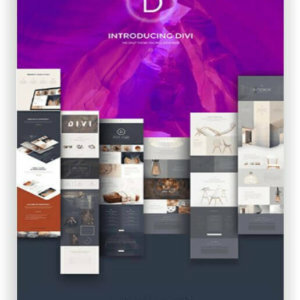 The Theme Pack contains over 65 different creative designs that can be used immediately. Add 29 normal topics and 36 subdivided topics. 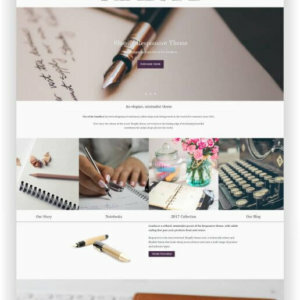 Shopify Everything is a premium multi-shop Shopify theme developed and developed by Elite Author of ThemeForest. Theme is responsive, mobile compliance. 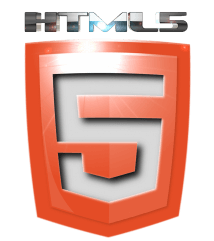 W3C, HTML5, CSS3 valid and compatible. Launching an online gift store, take care of its design in the first place. 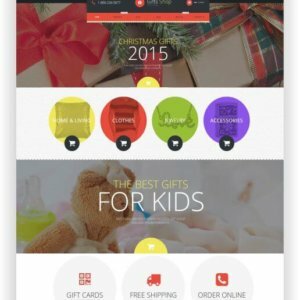 We recommend this festive Shopify Gift Store Theme, designed in accordance with all the Shopify quality requirements. This ecommerce platform is famous for its unbeaten ease of use and friendly support. 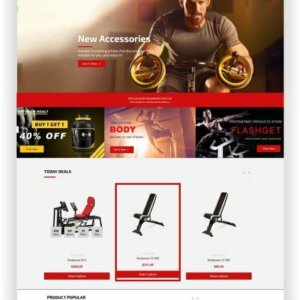 The Shopify Gym Shop Theme Ap Exgym is a fully Responsive Prestashop Theme. Thus it is a flexible theme completely adjustable for any devices such as desktop, laptop, tablet, mobile phone. It is a great choice for equipment shop, sports store, fashion store, shoes shop, swim-outlet shop and multistore. 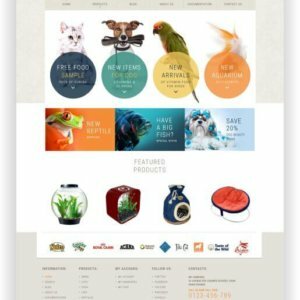 If you like experimental designs where retro and contemporary styles are mixed, this Petshop Theme Shopify “HappyPet” is a perfect fit. Here old faded paper background blends with trendy circular elements and pretty pet images. 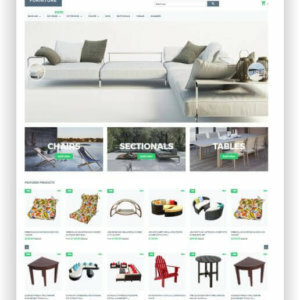 “YourStore” Shopify Interior Theme is the most sold shopify topic on envato market! Here you can see the template as a shop for a furnishing store. 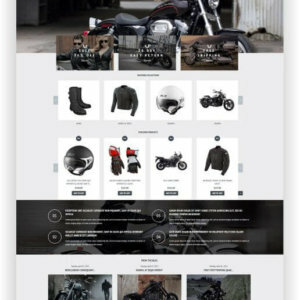 This Shopify Motocycle Shop Theme is specially designed for eCommers and online bike stores that are aimed at engaging more customers in. It features a responsive design that automatically changes appearance of your website, depending on the type of device used for viewing the page. Living in the 21st century, people want something fresh, new, and awesome every day. Whether you’re looking for a new music, information, fashion, devices, or any other thing, you definitely need a blast, uniqueness, and glitter. By the way, eCommerce business is not an exception. That’s why we want you to meet our radiance essential called Multifly. It’s absolutely your match if you need a high-productivity, a first-class functionality, and a stunning look in one place. 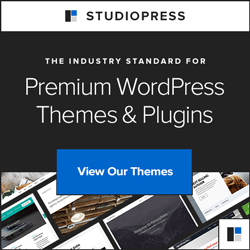 Shopify Multipurpose Theme with 70+ pre-made Designs! 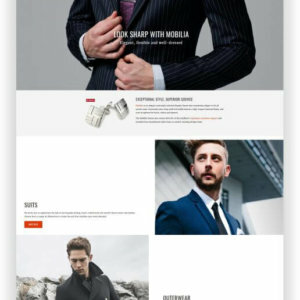 The superfast Shopify Multipurpose Theme Fastor is one of the most powerful Shopify Themes with tons of options. Included many essential widgets, it allows you save more money as well as time and create store without additional costs. 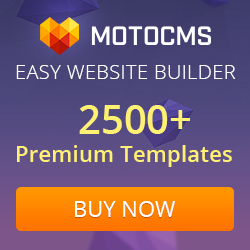 Fastor comes with more than 70 pre-made demos, awesome effects and useful extentions – easily to install on your website! 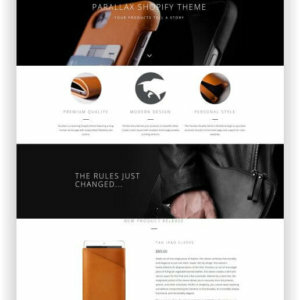 Shopify Parallax Accessories Theme Madrid is a fantastic shopify theme for the presentation of accessories and lifestyle products. Use the parallax effect to present your product photos in a stunning way! 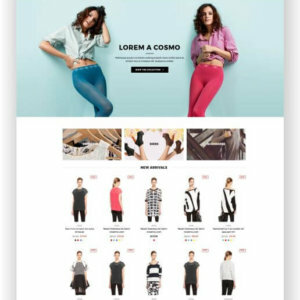 Shopify Parallax Fashion Theme Los Angeles is a gorgeous Shopify Theme for a Fashion Store or Lingerie Shop! Done with graceful style! In addition, the theme is best suited for dealing with fashion, Beauty products in an impressive way! 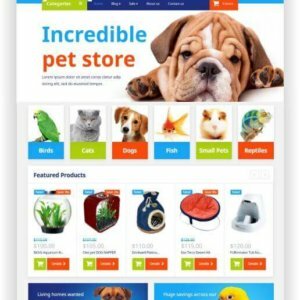 Pets OnlineShops are one of the most successful onlinestores on the net! 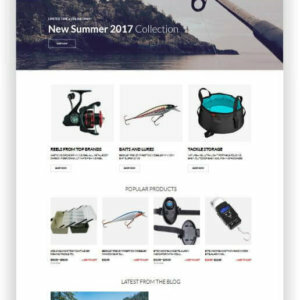 Many animal owners do their shopping online – this can only be of advantage to you if you have the right template for your website. 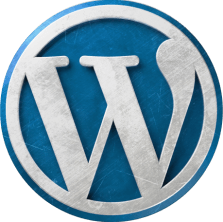 You also want to sell your articles online? 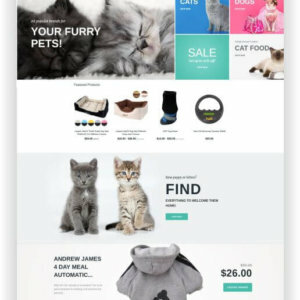 This Shopify Pet Store Theme will help you increase your sales. Now you can also visit your customers online and your clientele will grow biggerevery day. 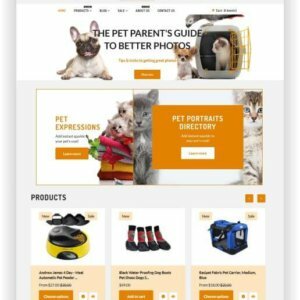 This theme is exactly made for your online pet shop. Easy to install!